There is not much that the Palomar StarLux 300 laser machine can’t do. This system offers a combination of laser and IPL technology along with a long list of compatible handpieces to perform an impressive list of cosmetic procedures, from hair removal to acne treatment to wrinkle reduction and much more. The Palomar StarLux 300 laser machine is very similar to the next generation version called the Palmomar StarLux 500, and both systems are available at affordable prices from SunrayLaser.com. We have pre-owned Palomar StarLux 300 laser systems for sale at significant discounts compared to the original retail price, sometimes as much as 60% off or more. Even though there are now newer systems on the market, it’s hard to match the affordability and performance of the Palomar StarLux 300 laser machine. 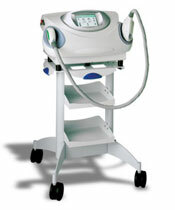 It offers a range of wavelengths from 500 nm up to 1200 nm, and at just 63 pounds it is easy to transport between treatment rooms or even between different office locations. When you buy used Palomar StarLux 300 laser equipment from SunrayLaser.com, you can be assured of getting a reliable, quality machine because of our extensive testing and inspection process. If you need a low price quote on a Palomar StarLux 300 laser machine, please fill out the form below.